While unconscious during deep sleep, slow-wave neuron activity travels across the cerebral cortex. This phenomenon is related to the consolidation of memory. A European project called SloW Dyn, led by Spanish scientists, has now revealed anomalies in this activity in mice displaying a decline similar to Alzheimer's. 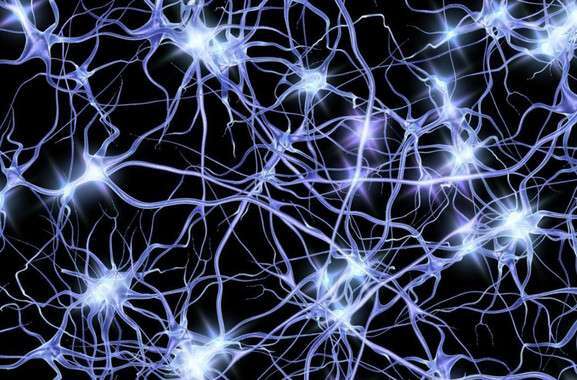 During deep sleep, large populations of neurons in the cerebral cortex and subcortical brain structures simultaneously discharge electrical pulses. These are slow oscillations that travel as 'waves' of neural activity from one point to another in the cortex once every one to four seconds. "This global rhythmic activity, controlled by the cerebral cortex, is associated with a lack of consciousness," says Mavi Sanchez-Vives, whose research team has suggested that it is the default activity of the cortical circuits. These oscillations consolidate memory and synaptic plasticity and maintain metabolic and cellular function, among other things. The researchers have now discovered differences in this brain activity between healthy mice and mice with cognitive decline similar to Alzheimer's due to premature aging. "We detected a decrease in the frequency of the oscillations which were also more irregular and had a lower high-frequency content of 15 to 100 hertz," says Sanchez-Vives, also from the Catalan Institution for Research and Advanced Studies (ICREA). The study, published in the journal Frontiers in Aging Neuroscience, highlights how some of these changes have also been observed in patients with Alzheimer's disease for which reason, according to the authors, the animal model could help in studying the disease. The relationship between slow oscillations and neurodegenerative diseases is twofold. When there are pathologies that disturb cortical circuits, they are often reflected in the disruption of slow waves. "We are studying what those changes tell us about the altered underlying mechanisms," says the researcher. Furthermore, the wave alterations will likely be associated with sleep problems, which may influence the development of a disease. "For example, if slow wave sleep periods are disrupted, cognitive functions such as attention and memory can be negatively affected," Sanchez-Vives notes. In order to measure these oscillations, scientists use EEGs, which record a person's brain activity while sleeping. Throughout the SloW Dyn project, experts will measure the waves of thousands of people and will ascertain how they change with age. The tools which they have developed for this purpose are an instrument that registers brain activity and an app. "This will provide massive information about the composition of sleep, the synchronization of brain activity and the anomalies that can occur as a result of aging or specific pathologies," says the scientist. Researchers hope that these records will also give them clues about the therapeutic potential of restoring slow waves when they are impaired. "We are trying to understand a phenomenon which, although seemingly very simple, has the power to disconnect consciousness," says Sanchez-Vives.